We’re pretty excited about this!! 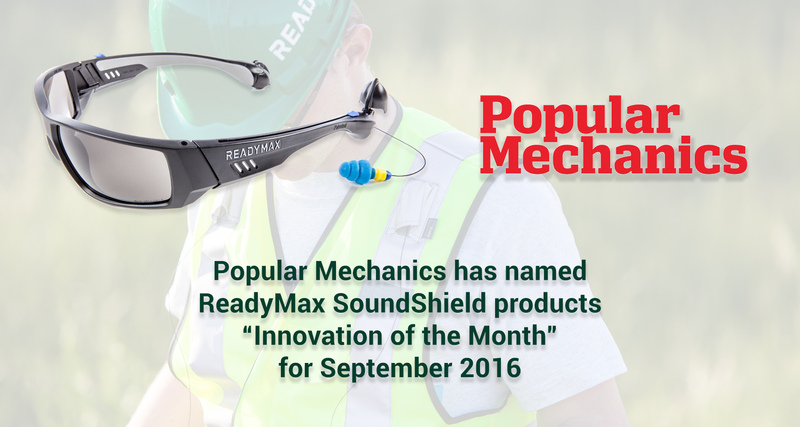 Popular Mechanics selected our SoundShield glasses as “Innovation of the Month” in their September 2016 edition. Popular Mechanics Magazine, which is considered by many to be the “Go To” source for innovative tools and new product reviews, recently named the ReadyMax SoundShield® safety glasses with retractable hearing protection as the Innovation of the Month. Popular Mechanics is read by an estimated nine million readers each month and they chose the SoundShield product as part of a review of various hearing protection products from a variety of manufacturers. The popular new product line, which includes numerous styles and lens colors, is gaining widespread usage for many commercial, industrial and DIY applications. The convenient pull-out and easily retractable ear plugs provide the convenience of always having your hearing protection with you when needed. We’re proud to receive such great recognition from this 100+ year-old industry stalwart.